Decades ago branding was defined as a name, slogan, sign, symbol or design, or a combination of these elements that distinguish one restaurant brand from another. From the public’s perspective, the brand of a restaurant differentiated it from the competition. Today a brand is a bit more complex, and even more important in today’s world of marketing. And branding is not just about getting your target market to select you over the competition. 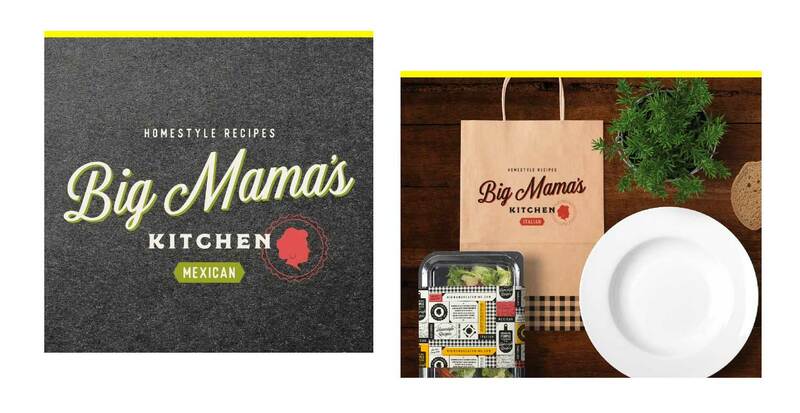 We can all agree that restaurant branding matters. Everything communicates, whether by design or default. All the little experiences define the whole from every touch-point. Conceptualizing and realizing a top-tier dining experience requires more than putting together a tasty menu. You have to entice customers with a purpose and promise and to deliver on that promise. Wow, guests with your restaurant’s particular panache. Every executive and agency seems to throw around the phrase “restaurant brand” a lot and champion its importance. But when you ask them to define their restaurant brand – or even better, ask the entire executive team to define it independently and then compare their responses – it’s alarming just how far the stakeholders may be in their understanding of effective restaurant branding strategy and its application. So what exactly is restaurant branding? Is it just the standard pretty logo and catchy jingle a traditional agency conjures up in their typical approach? Of course not. Great, powerful, and effective restaurant branding is all about marrying your marketing with your operations. The best restaurants don’t simply copy trends or rely on tricky gimmicks. The best restaurant brands have a clear mission, purpose, and reason for being. These are based on research and innovation, operating on the belief that hospitality can help make the world a better place. The best brands don’t mindlessly copy trends and espouse gimmicks. Your brand isn’t your logo, it’s your reputation. When you think of your brand in this way, it helps you to make a more human and authentic connection to your audience and customers. When you look at your brand as your reputation, you’ll understand why it’s important to bring alignment to your look, your message, and your actions. When these three things are in alignment, and functioning optimally, you will have a healthy reputation (brand). 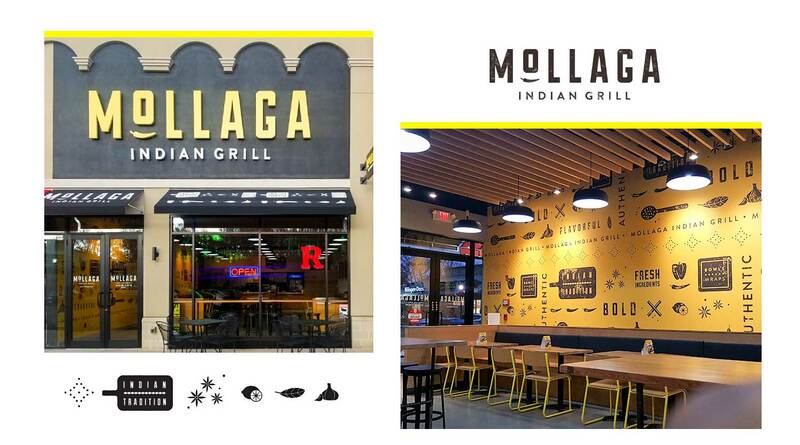 Brand identity for fast-casual Indian restaurant. To succeed in restaurant branding, you must understand the needs and wants of your customers. You can achieve this by integrating your brand strategies throughout your organization at every point of public contact. Think of branding as though your restaurant were a living, breathing person. How could this person communicate, and engage with another person in a way that builds trust, loyalty, and with clear and direct communication? But remember, the effectiveness of a brand doesn’t just happen before the purchase—the brand experience has to last to create brand loyalty. A quality brand gives people something to believe in, something to stand behind. Your brand should be an instant “ah-ha” moment—it should require very little thought. Remember, you can’t escape your brand. Either you make the customer experience, or it gets made without you. Being seen and heard in the midst of a roaring ocean of competition is a large task in today’s very crowded marketplace. We find this true even more each time we scan through a magazine, watch television, or search the web. Due to this, restaurants are being forced to seek new and more effective ways of increasing their brand power, awareness, and just as important, their brand loyalty. Clearly deliver a message that resonates with people. Confirm your credibility in the marketplace. Emotionally connect your target audience with your restaurant, staff, and food. Entice new customers to visit your restaurant.